What will 2018 bring for mobile streaming content? To help answer this question, we must look at what happened at Mobile World Congress 2018. The numerous discussions and announcements at this industry conference revealed new movements in the mobile industry that subscription businesses should be aware of. Running from February 26 to March 1 and held in Barcelona, Spain, this year's MWC saw the introduction of several new devices from companies like Samsung, Asus and Lenovo. Samsung in particular announced the Bixby device, which is the company's first step into the world of smart speakers and home assistants. According to The Motley Fool, Samsung plans to release the Bixby speaker by the second half of this year. This device will target the premium market rather than compete with bargain speakers. 5G allows AR and VR entertainment providers to create better products for their customers. Although many other new devices were revealed at this year's conference, the promise of 5G internet speeds stole the show. Though talk of 5G has been ongoing for years, the Financial Times noted that MWC 2018 was the closest the mobile industry has come to making it a reality. Various telecoms - including Sprint, Telstra and T-Mobile USA - are planning to test live 5G networks this year. This would open the doorway for countless advanced technologies - including virtual reality gaming, holograms and autonomous driving, which need such high speeds to operate effectively - to achieve widespread adoption. Faster speeds also open the door for entertainment platforms operating on a subscription billing business model to expand their available offers, attracting customers who thrive on the excitement emerging technology brings. Furthermore, mobile and OTT video and content providers should take note of telecoms' interest in 5G networks. They may find opportunity to partner and create interesting bundled packages to attract consumers with advanced content available thanks to enhanced network performance. 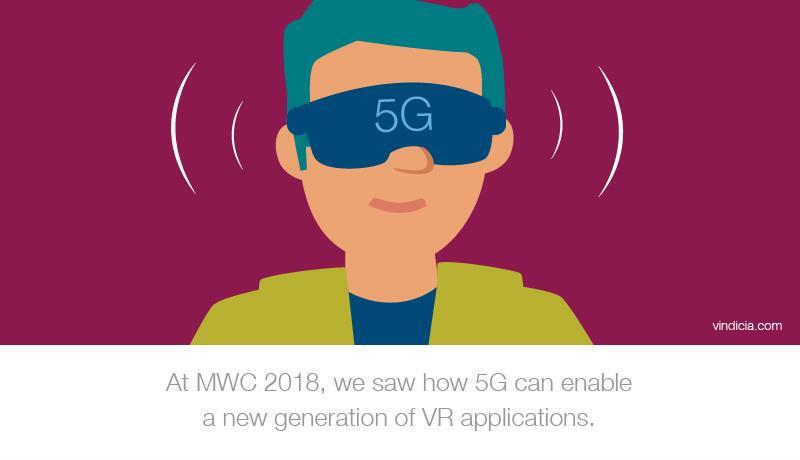 Ever more sophisticated devices and faster internet speeds that were the focus of MWC 2018 can give birth to a new generation of games, experiences and services that can thrive only in a 5G world. This could give rise to a new generation of applications in areas such as Internet of Things, Entertainment, as well as Augmented Reality. As we know, the monetization model for most modern digital services is subscription based. So new communications technologies could fuel additional growth in subscription business proliferation.